by a Creator who cherishes us beyond any ability we have to comprehend. That knowledge must no longer remain a secret." Dr Eben Alexander has taught at Harvard Medical School and other universities, spent his life dismissing claims of heavenly out-of-body experiences and refuting such talk with scientific logic, until he himself had a near-death experience. "Love is, without a doubt, the basis of everything. In its purest and most powerful form, this love is not jealous or selfish, but unconditional. This is the reality of realities, the incomprehensibly glorious truth of truths that lives and breathes at the core of everything that exists or that ever will exist, and no remotely accurate understanding of who and what we are can be achieved by anyone who does not know it, and embody it in all of their actions. .... this is not only the single most important emotional truth in the universe, but also the single most important scientific truth as well." "Free will is of central importance for our function in the earthly realm: a function that, we will all one day discover, serves the much higher role of allowing our ascendance in the timeless alternate dimension. Our life down here may seem insignificant, for it is minute in relation to the other lives and other worlds that also crowd the invisible and visible universes. But it is also hugely important, for our role here is to grow toward the Divine, and that growth is closely watched by the beings in the worlds above." 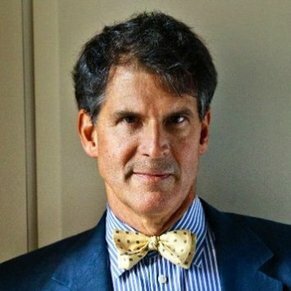 Interview with Eben Alexander, III, M.D., F.A.C.S. by Amy Hardie - more info about Amy here: http://www.edgeofdreaming.co.uk/ regarding his attendance at the Gateway Voyage program - more info about the Gateway Voyage here: http://www.monroeinstitute.org/program-list/ - personal history of hearing about the program; desire to uncover the fundamental nature of consciousness; audio technique synchronizes the cerebral hemispheres, undoing an ancient purpose for asymmetry. Dr Eben Alexander is a second generation neurosurgeon who has taught at Harvard Medical School. He didn't believe in the phenomenon of near-death experiences until he experienced one himself. Now he's proclaiming that heaven is indeed real. In a 'Newsweek' cover story, Dr Alexander describes himself as a faithful Christian - but "more in name than in actual belief." As a scientist, he could not believe certain things, he said, such as Jesus being anything more than a good man. But after seven days in a coma a few years ago, his views changed. It was in 2008 when his entire cortex shut down. It was determined that he contracted a very rare bacterial meningitis that mostly attacks newborns. In other words, E. coli bacteria were eating his brain. With his chances of survival being very slim, he went into a coma and for seven days his brain functions were "totally offline." "There is no scientific explanation for the fact that while my body lay in coma, my mind – my conscious, inner self – was alive and well. While the neurons of my cortex were stunned to complete inactivity by the bacteria that had attacked them, my brain-free consciousness journeyed to another, larger dimension of the universe: a dimension I'd never dreamed existed and which the old, pre-coma me would have been more than happy to explain was a simple impossibility,"
he states in the Newsweek story. The neurosurgeon now confidently believes that another "dimension" exists. He describes it as "a world where we are much more than our brains and bodies, and where death is not the end of consciousness but rather a chapter in a vast, and incalculably positive, journey." It was a place of "big, puffy, pink-white" clouds and high above were "flocks of transparent, shimmering beings arced across the sky, leaving long, streamerlike lines behind them." He also heard a booming sound "like a glorious chant" from above which he later concluded came out of uncontainable joy from these creatures. "It seemed that you could not look at or listen to anything in this world without becoming a part of it –without joining with it in some mysterious way," he says. Interestingly, a young woman with deep-blue eyes was with him for most of his journey. Together they rode on the wing of a butterfly and were surrounded by millions of butterflies. The woman spoke to him but without using any words, he recalls. She said (if translated to earthly language), "You are loved and cherished, dearly, forever. You have nothing to fear. There is nothing you can do wrong." "The message went through me like a wind, and I instantly understood that it was true. I knew so in the same way that I knew that the world around us was real – was not some fantasy, passing and insubstantial", he states. Dr Alexander knows how his story will sound to skeptics and other doctors. He's already seen "looks of polite disbelief, especially among my medical friends." But he's firmly convinced that what he experienced is real and has co-founded 'Eternea' to advance research on the physics of consciousness and enhance the understanding of spiritually transformative experiences. "According to current medical understanding of the brain and mind, there is absolutely no way that I could have experienced even a dim and limited consciousness during my time in the coma, much less the hyper-vivid and completely coherent odyssey I underwent", he wrote. "Had someone – even a doctor – told me a story like this in the old days, I would have been quite certain that they were under the spell of some delusion. But what happened to me was, far from being delusional, as real or more real than any event in my life. That includes my wedding day and the birth of my two sons." He adds, "Modern physics tells us that the universe is a unity – that it is undivided ... Before my experience these ideas were abstractions. Today they are realities. Not only is the universe defined by unity, it is also – I now know – defined by love." After his experience Dr Alexander went back to church, which he hardly attended before. "I'm still a doctor, and still a man of science every bit as much as I was before I had my experience. But on a deep level I'm very different from the person I was before, because I've caught a glimpse of this emerging picture of reality." Though many today believe that science, not faith, is "the road to truth", Dr Eben Alexander now understands that "such a view is far too simple." "The plain fact is that the materialist picture of the body and brain as the producers, rather than the vehicles, of human consciousness is doomed. In its place a new view of mind and body will emerge, and in fact is emerging already. This view is scientific and spiritual in equal measure and will value what the greatest scientists of history themselves always valued above all: truth."